Paperback, 6.25 x 9 in. / 64 pgs / 15 color / 15 bw. 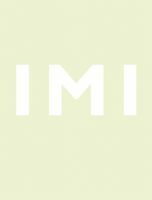 Imi Knoebel (born 1940) is a leading figure of 1960s abstraction, and one of its most popular contemporary exponents. Working in between painting and sculpture, Knoebel layers individual elements which are repeatedly juxtaposed in ever-changing variations. 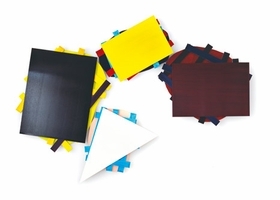 Over the course of his nearly five-decade-long career, he has consistently found new ways to work between intuition and calculation, and to reconceive the building blocks of geometric form and color. 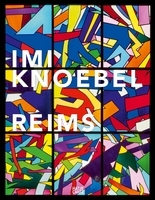 This catalogue presents three new cycles of work: the Anima Mundi series, begun in 2010, which consists of brightly hued variations on a single structure, in which the four side of the frame are taken as a geometric component; the Kartoffelbilder (potato paintings) (2011), which feature oval shapes irregularly positioned atop one another, as well as triangles and squares; and the Cut-Up cycle (2011), in which color is reduced to black, white and silvery greys, in dynamically layered strips or ribbons of color that pay homage to William S. Burroughs’ technique of the same name, as well as to the Suprematism of Malevich. 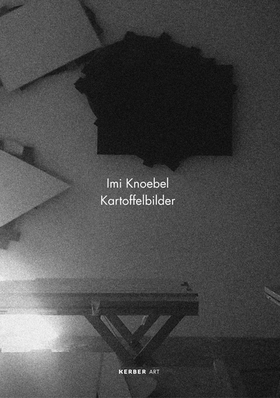 Featured image is reproduced from Imi Knoebel: Kartoffelbilder. FORMAT: Pbk, 6.25 x 9 in. / 64 pgs / 15 color / 15 b&w.